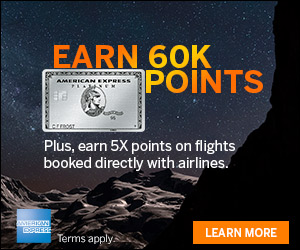 Earn 5,000 Starpoints after you spend $5,000 in qualifying purchases* using your Card.Plus, earn an additional 5,000 Starpoints (for a total of 10,000 bonus Starpoints) after you spend an additional $5,000 (for a total of $10,000) in qualifying purchases on your Card.Registration and spending must be completed by 12/15/16. See Terms and Conditions for more details. Register and earn an additional 5,000 Starpoints after you spend $5,000 on qualifying purchases*, and an additional 5,000 Starpoints after you spend an additional $5,000 on qualifying purchases, for a maximum of 10,000 Starpoints. Purchases must be made on your Starwood Preferred Guest® Business Credit Card from American Express starting from the date that you complete your registration and ending on 12/15/16. Purchases may fall outside of the promotional period in some cases, such as a delay in merchants submitting transactions to American Express or if the purchase date differs from the date you made the transaction. (For example, if you buy goods online, the purchase date may be the date the goods are shipped). Qualifying purchases can be made by the Basic Card Member and any Additional Card Members on a single Card account. Additional Card Members on your account are not eligible for this offer. This offer is non-transferable. *Qualifying purchases do NOT include fees or interest charges, balance transfers, cash advances, purchases of travelers checks, purchases or reloading of prepaid cards, or purchases of other cash equivalents. Additional terms and restrictions apply. Starpoints® received from your Card will be posted to your SPG® account up to 12 weeks after the end of each month. 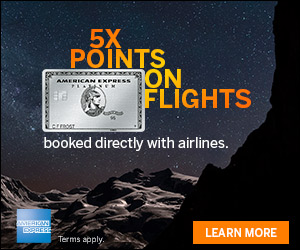 To be eligible to receive Starpoints, Card Member’s account must be active, in good standing, and not in default at the time of bonus fulfillment. For questions regarding your Card account, please call the number on the back of your Card. American Express reserves the right to modify or revoke this offer at any time. Starpoints, SPG, Preferred Guest, Sheraton, Westin, St. Regis, The Luxury Collection, W, Le Méridien, Tribute Portfolio, Element, Aloft, Four Points and their respective logos are the trademarks of Starwood Hotels & Resorts Worldwide, Inc., or its affiliates. Design Hotels is a trademark of Design Hotels. If you have the Starwood Preferred Guest® Business Credit Card from American Express, you can earn up to 10k Starpoints when you spend a total of $10,000 with this targeted offer. This is a bit confusing. Wouldn’t I get 10,000 points anyway if I spend $10,000 on the card? I am guessing you mean I get an additional 10,000 points over the points I would already get. Wouldn’t it be easier to understand if you told me I get double points if I hit a certain limit, $10,000? You don’t get double miles incrementally. You get 5000 points after reaching the $5000 spend threshold. And then another 5000 after reachng $10k. So, if you spent a total of $6000 you still only get 5000 points. I received this offer on my SPG Biz Card. Would my Authorized User’s spend count towards the total? These are BONUS points. 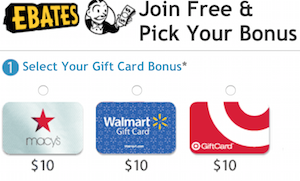 So, if you spend $10K, you will get 10K (or more points based on category spending) points from spending plus 10K bonus through this promotion… Please correct me if my understanding is not right.